There was a recent piece on Varley Group by David Barrat in Business In Focus, which gives reader a comprehensive view of Australian business. 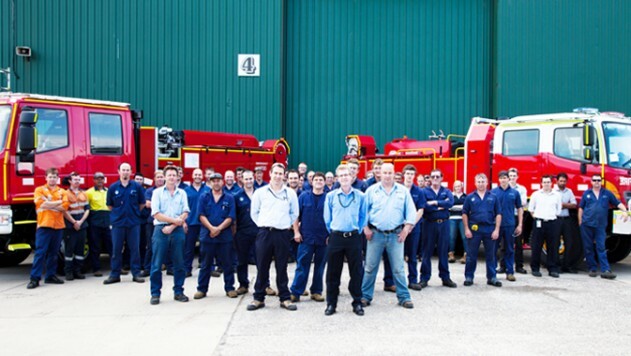 A division of the Varley Group, an Australian owned and operated business formed more than 128 years ago, Varley Specialised Vehicles possesses a wealth of knowledge, experience, and resources to complete each client’s project, big or small, on time and to specification. The Varley Group was formed by George Henry Varley in 1886 as a small plumbing and boiler making business serving the industrial maintenance and ship repair sectors. Over the past century Varley has grown significantly to incorporate a diverse portfolio of products and services for a broad range of market sectors. Today, Varley operates on an international scale, providing engineering, design, production, and support for a number of products for clients in defence and aerospace, ship repair, specialised vehicles, rail services, power services, and electrical vehicles.